Panelists spar over benefits, costs of Medicaid expansion in Utah. June Taylor, resident of Salt Lake City’s East Side, was tired of hearing the same arguments. 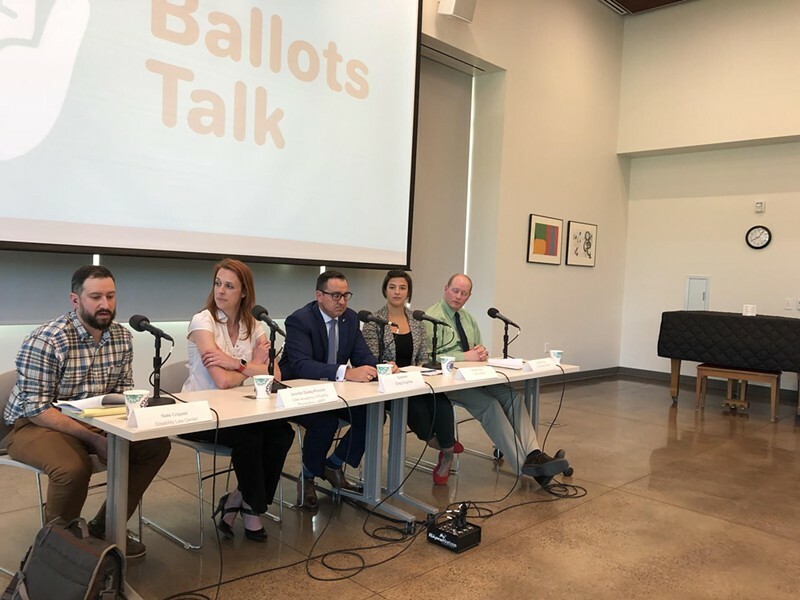 “This is so bogus, because, no,” Taylor, one of approximately 25 crowd members, said to the five panelists at the Marmalade Branch of the Salt Lake City Public Library, during a Monday night discussion on the possibility of Medicaid expansion in Utah. 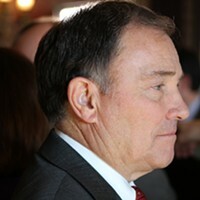 Taylor’s exasperated response was to an argument from House Speaker Greg Hughes and the Sutherland Institute’s Vice President of Policy Derek Monson that the costs of expanding Medicaid would force the state to take money from public or higher education, or from other Health and Human Services programs that benefit people in vulnerable populations. “It will grow at the expense of something else,” Hughes said. Voters will decide the fate of Utah’s Medicaid expansion this November, choosing whether to extend such coverage to people whose incomes are around $16,700 per person, or $34,000 for a four-member family. Proponents say a “yes” vote would provide coverage for 150,000 adults in the state. 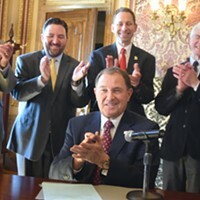 The vote will take place just months after state lawmakers passed House Bill 472, which, assuming the feds grant a waiver, will provide coverage to about 72,000 Utahns. The bill also requires that certain recipients meet a work requirement, caps enrollment and safeguards the state from shouldering an unexpectedly high cost, sunsetting the program if the federal government’s funding ever dips below 90 percent. Hosted by KRCL RadioActive, Monday’s panelists included Monson, Hughes, Disability Law Center Staff Attorney Nate Crippes, Utah Academy of Family Physicians Executive Director Jennifer Dailey-Provost and RyLee Curtis, from the Utah Decides Healthcare Campaign. Monson cautioned that, if implemented in the wrong way, Medicaid can “do a lot of harm to a lot of folks.” He said that a sales tax as a funding stream would be regressive, hurting the same Utahns—individuals and families with lower incomes—who are supposed to most benefit from the expansion. He also noted the limited number of doctors and providers who accept Medicaid, warning that putting more people on Medicaid could mean longer wait times to access care. “What people are probably voting on is, do they want to help people,” Monson said, but he questioned whether expanding Medicaid would actually help lower income Utahns, asking aloud if people would decline jobs or pay raises so that they could keep their Medicaid coverage. Hughes said he worried expansion would cost the state more than expected, arguing that the unknown cost makes it difficult to budget for. “We have no idea what the costs are going to be,” Monson said, echoing the speaker. “We’ve done the research. 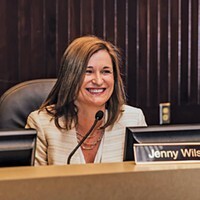 The numbers are sound,” Curtis argued, adding that even if the cost does run over budget, state legislators can adjust in the future. “I’ve been to funerals because they do not have access to healthcare coverage,” Curtis said, reminding the crowd and panelists that $800 million in federal funding is already set aside for Utah’s Medicaid expansion. “We just have refused to bring those tax dollars home,” she said. Crippes, Disability Law Center attorney, said in his closing comment that if Congress won’t act to extend Medicaid coverage, the people will rise in recognition of its importance. “We’ll see what happens come November,” he said. 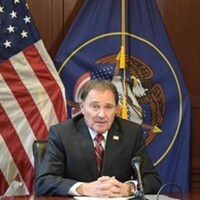 Guv supports medical cannabis in principle, but he’s against November ballot initiative. With a Medicaid ballot initiative looming in November, Tuesday’s move could end up being overtaken. Overshadowed by Romney, Democratic hopefuls press on in a statewide Senate bid. On Capitol Hill, it’s just a couple of guys that have been up to … something. Gov. 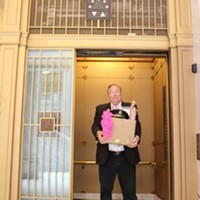 Herbert returned from Washington feeling like his voice is finally being heard, but to what extent?